You just single handed operation, no need to juggle the items you are carrying. Simply press the button on the handle to open the canopy and press again to retract it. Small enough to fit in any decent backpack or handbag, Homewill travel umbrella is the ideal partner for any journey. 1.Take down pouch and loosen tie band. 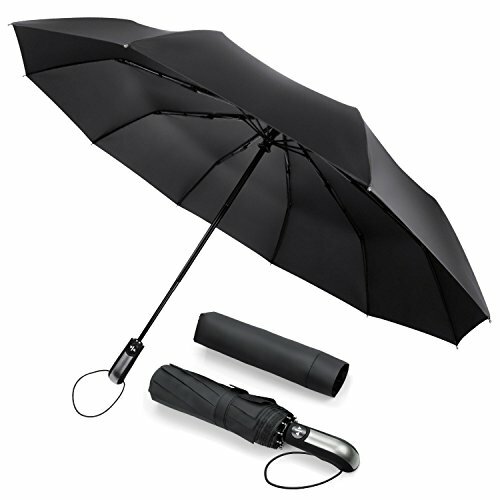 2.Press button to open the umbrella. 3.Press again to close it. 4.Push until hearing "KA", finish folding it. We promise a 90-day guarantee and life-time friendly customer services. Customer is our main priority ,Don't hesitate to contact us for any reasons, we'll reply you within 24 hours. If you have any questions about this product by Homewill, contact us by completing and submitting the form below. If you are looking for a specif part number, please include it with your message.